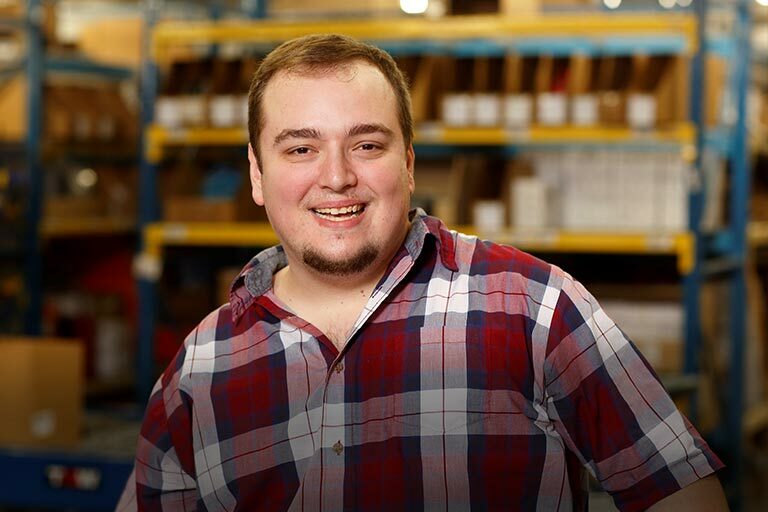 Looking for an easy to way to stream music to almost any pro audio system? Add Bluetooth® to your mixer, PA system, or powered speaker with the RapcoHorizon BTIBLOX wireless receiver. Just plug this tiny unit into a free XLR input on your audio rig and stream audio from Bluetooth devices like smartphones, tablets, or computers — no separate dongles or adapters required. 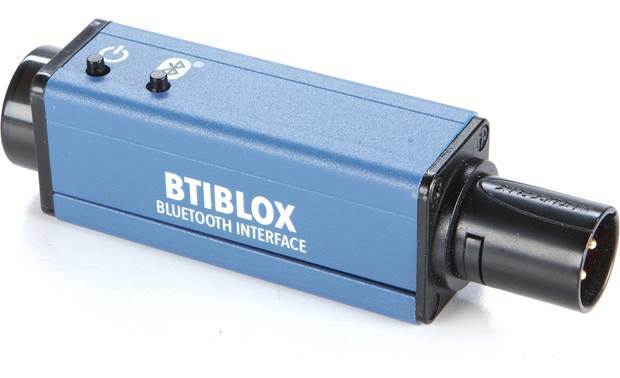 The BTIBLOX wireless receiver includes a rechargeable battery that lasts up to 8 hours, or you can power this receiver using phantom power on your mixer. 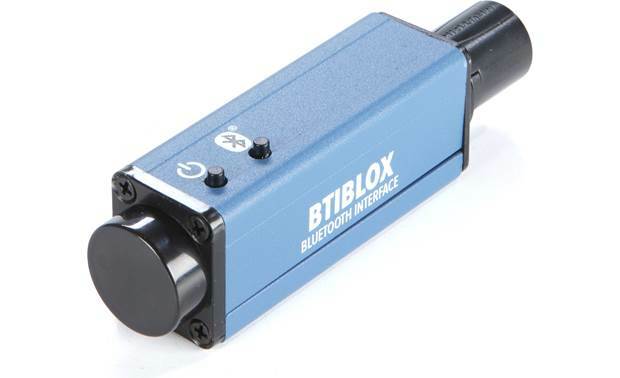 Overview: The RapcoHorizon BTIBLOX is a Bluetooth interface designed to pair with most smartphones and computers for streaming audio during presentations and live events. 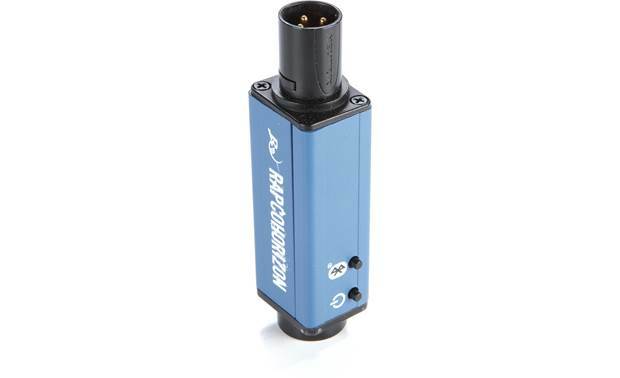 It features a male XLR connector that can plug into an input channel on a mixer or PA system and uses Bluetooth 4.2 technology. It has a line-of-sight range of over 75 feet and can be powered by phantom power or with its internal rechargeable battery, which allows approximately 6-8 hours of use. A translucent back cover allows the user to view the status LEDs for power and Bluetooth connectivity and a micro-B USB port allows charging of the internal battery with the provided USB cord. 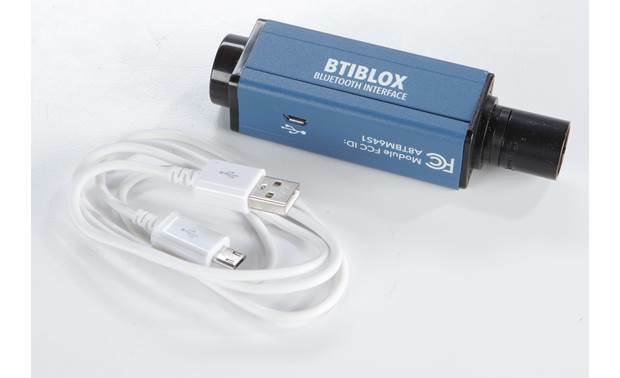 The BTIBLOX is FCC and RoHS compliant. 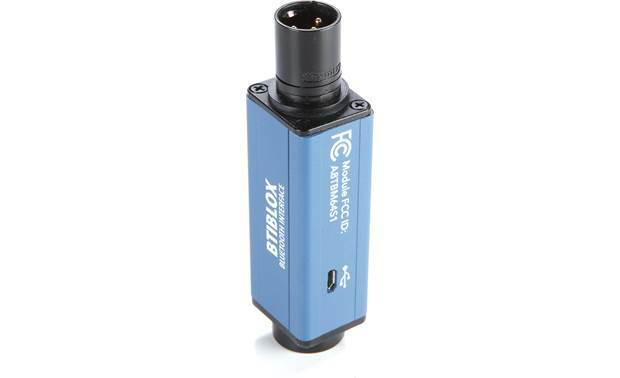 Searches related to the RapcoHorizon BTIBLOX Bluetooth receiver with male XLR connection.